Stretch marks (Striae) are an extremely common, form of dermal scaring and can have a significant psychological impact. While pregnancy, obesity and certain medical procedures can make these blemishes hard to avoid, there are several treatments to lessen the aesthetic damage and restore confidence in your body. More than half of pregnant women are confronted with stretch marks with the abdomen and breast commonly being affected. But it’s not just woman that are affected. A significant percentage of men is also affected. Amongst individuals with a BMI above 27, more than 40% is affected. A positive family history is a risk factor. You’ve always been told to stretch before a strenuous activity. What you may not have been forewarned is that your skin stretching is a strenuous activity. The rapid gain or loss of weight can lead to stretch marks beneath the skin, or striae distensae as they are known in the medical world. Common in growing adolescents or in women after childbirth, they are a blemish that isn’t a detriment to a person’s physical health, but one that can be psychologically harmful in the long term. Like other types of scarring, it can prevent you from looking as youthful and healthy as you feel. At our Baton Rouge and Covington locations we offer a number of stretch mark treatments that each provide specific benefits and advantages. 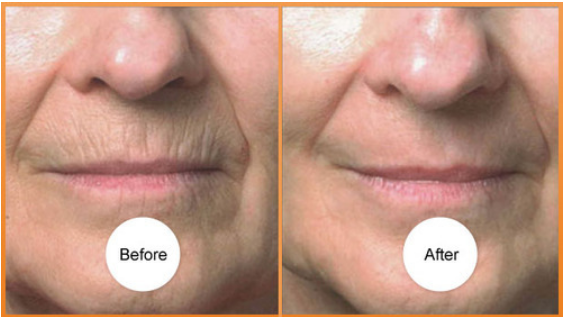 Fractional laser is used for skin resurfacing. Unlike a full-field resurfacing, in which the full surface layer of the treatment area is removed, a fractional laser pinpoints narrow-diameter channels into the skin, covering a fraction of the total treatment area. This action initiates the body’s wound healing response, while leaving the surrounding tissue intact for rapid healing. In short, instead of peeling off an entire layer of skin, this method targets points within the skin and encourages new tissue to grow surrounding those areas. Considered one of the most effective methods for eradicating stretch marks, shallow treatments can also eliminate fine lines, sun spots, and tired-looking skin while deep treatments can eliminate deep wrinkles and improve skin tone and texture. Microneedling is also known as collagen induction therapy and is a safe, chemical-free technique that triggers new collagen production. This treatment is done in a series of 3 sessions, effective in targeting the face, neck and chest, for those blemishes that are front and center. Unlike the fractional laser, this method is safe to repeat every 3-4 months for improvement of fine lines and wrinkles, acne scars, skin tone, firmness, pore size, texture and tightness. Microneedling can be used on nearly all areas of the body, for the treatment of stretch marks. Topical formulations can be used in combination with both fractional laser and microneedling. Research exploring the effects of this form of treatment is tireless and varied There is information that suggests, for example, that the combined use of tretinoin cream 0.05% and glycolic acid 10% is not as effective as fractional laser therapy. The study goes on to underline what other sources agree on: the side effects of topicals is varied and dependent on both age and gender. They can be used independently or in combination with the fractional laser or microneedling, and the outcome will unequivocally depend on the personalized quality of the treatment. At MetaGlow, we know that this balance is important. We will stretch ourselves to the limit to figure out exactly which combination of methods will be optimal for your skin and both your inner and outer beauty !